We want to give you more value to your membership, so we created a fun series called “Chamber Hacks” to give you little tips and tricks to make the most out of being a Beach Chamber member. Similar to “Life Hacks,” with a Chamber twist! 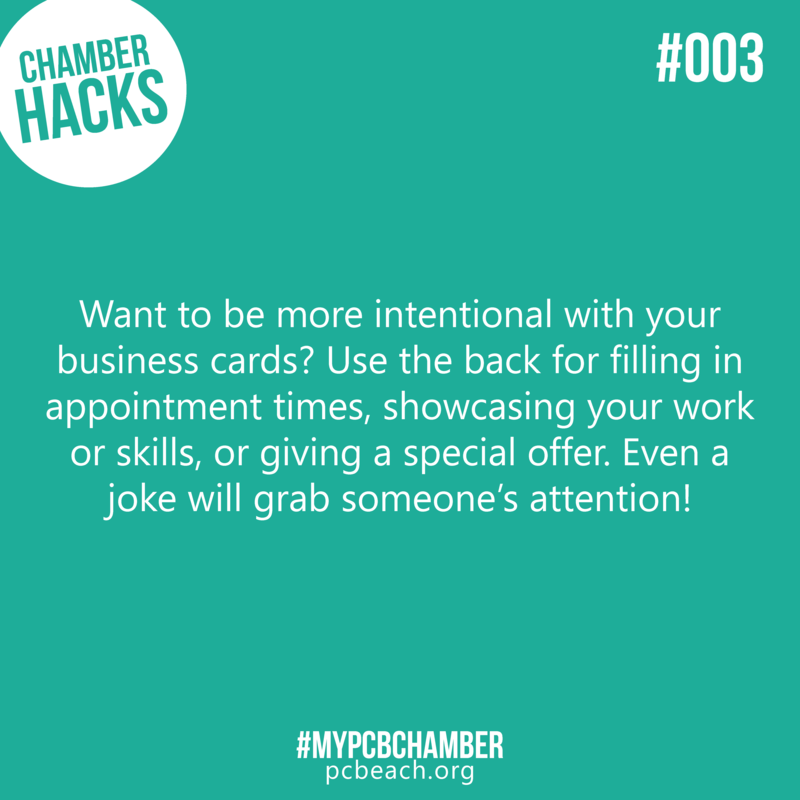 Want to be more intentional with your business cards? Use the back for filling in appointment times, showcasing your work or skills, or giving a special offer. Even a joke will grab someone’s attention!